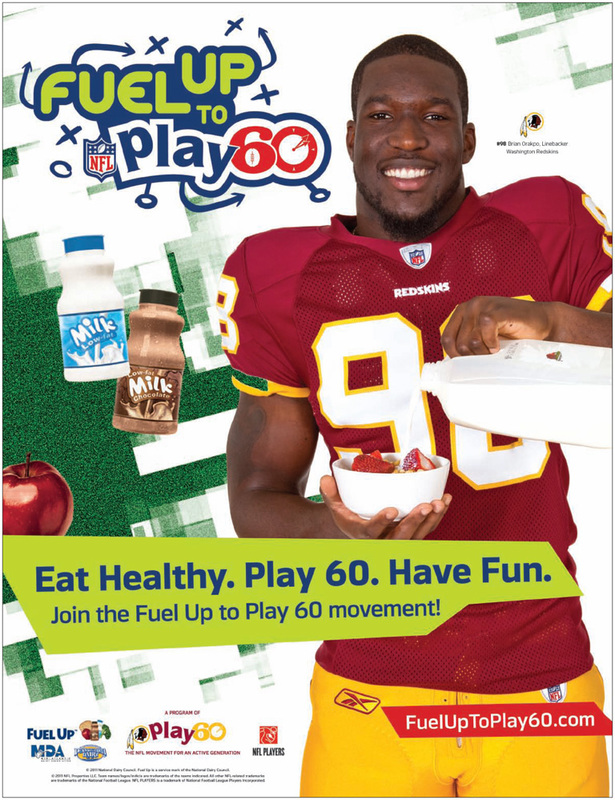 A few months ago I had the opportunity to work with a couple of NFL players for the Mid Atlantic Dairy Assn. 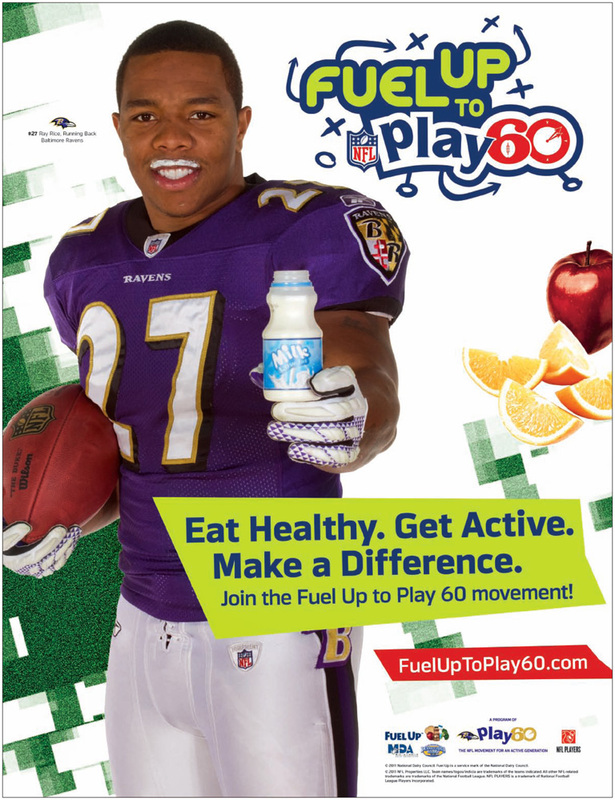 The MDA is a sponsor of the NFL’s Fuel Up to Play 60 campaign which encourages kids to eat right and play for at least 60 minutes each day. Our small part of this was to photograph two players from our local teams for use on school posters and accompanying mini-site. We photographed Ray Rice of the Baltimore Ravens and Brian Orakpo of the Washington Redskins. For each of the shoots we travelled to the teams’ practice facilities and set up a makeshift studio in either the Racquetball court (Redskins) or the Basketball court (Ravens.) The challenging part of the gig is that we had very limited time with our guy, an ambitious shot list and we had to share our time and space with a video and audio crew. On shoots like this our standard crew is myself, an assistant and a stylist. We also had my client from the marketing agency (who brought homemade cookies to the shoot!) and her client, from MDA on hand. Since we knew we had a lot to do and little time in which to do it, we got everything set up ahead of time. With the idea that the player walks in, hit’s his marks and off we go. We have everything set up, the clients approve the set up and test shots and then we wait for the circus to arrive. Having five people in a racquetball court with a seamless, lights and equipment table’s not too crowded. But we also have a craft services table (homemade cookies!) and a product table for items that the player will hold during the shoot. Still not too crowded. Then the player arrives. Both of these guys are pretty down to earth so no big entourage of friends or hangers on. But the agents were there, and a rep from the team, and a rep from Player Services, and a rep from building services, plus the kids (did I mention we had two children to shoot as well) and their parents. Also the film and audio crew, and a reporter and photographer for the Washington Post, and a reporter and photographer for Comcast Sports. Suddenly our cozy little group of five swell to twenty five! Mind you I’ve still got 32 shots to do in 30 minutes. But that’s why we’re set up and ready to go. He’s out of makeup, on set and within two minutes we’re putting shots down and checking them off the list.